Look 9. 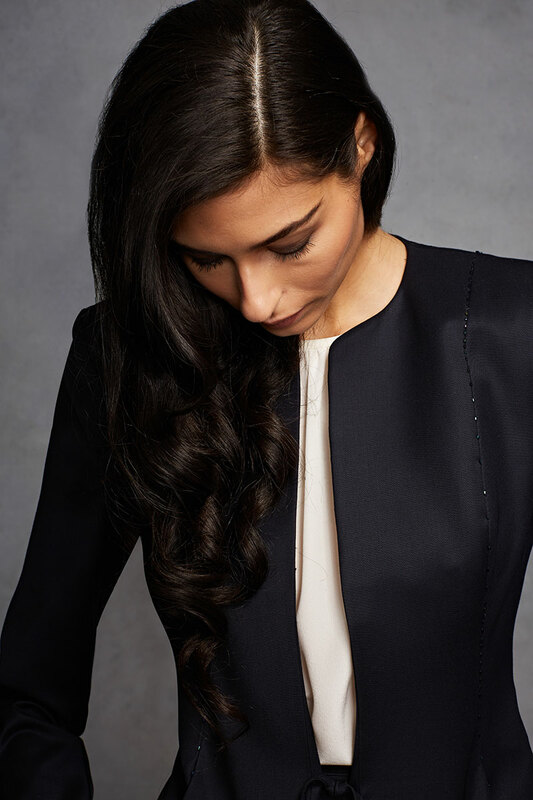 Single-breasted tie front contoured jacket with on seam hand beaded detail in wool satin gabardine. Contour seamed gored skirt in wool satin gabardine.